This is The Tourists who came in to being from 1977 through to 1980. The band, are now better known for two of their members Annie Lennox and David Stewart who went on to achieve great success as Eurythmics. 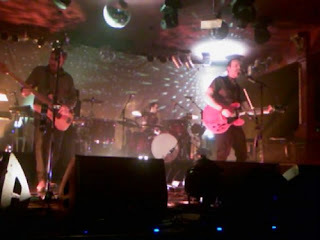 The band formed around a nucleus of two musicians from Sunderland in north-east England, Peet Coombes and Dave Stewart. Peet Coombes was a guitarist singer-songwriter, while Dave Stewart, also a guitarist, had been a member of the folk rock band, Longdancer, who were signed to Elton John's Rocket Records label. The two moved to London and encountered Scottish singer Annie Lennox who had dropped out of her course at the Royal Academy of Music, where she had been studying flute and keyboards, to pursue her ambitions in pop music. The three of them initially called themselves The Catch, and released a single "Borderline" in 1977 on Logo Records, which failed to chart. This is Cream live at Klooks Kleek, London on the 15th November 1966 and at Konserthuset, Stockholm on the 7th March 1967. This material has been circulated as individual bootlegs and as part of Cream bootleg compilations, most notably as the first of two CD's titled 'Renovating The Blues'. 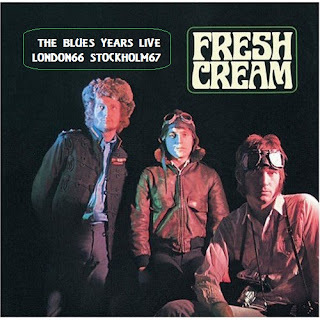 The concerts drew on material from Creams debut album 'Fresh Cream' and demonstrate clearly the powerful influence blues music had over both Cream and their early audience. Klooks Kleek for example was a club based in the Railway Hotel, Hampstead, London with a capacity of around 100. The venue had a strong blues association, and other rock bands with a strong early blues pedigree played there including Ten Years After whose second album 'Undead' was recorded at the venue.